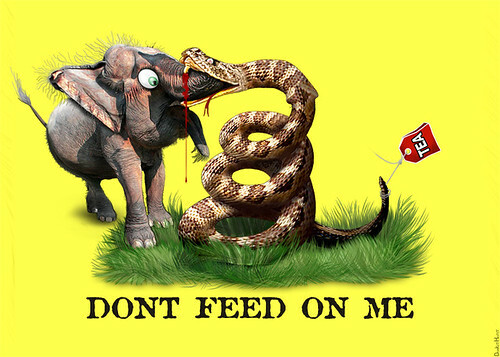 The Tea Party Republicans and the Wall Street Republicans are chewing themselves up. They suddenly realized they don't have the same enemies. Snake - plural's flickr photostream and Jeffery Love's flickr photostream.